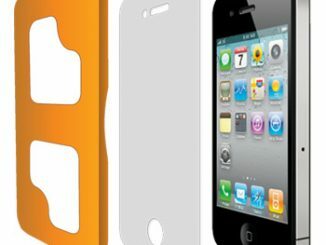 Technology is great and there are many devices on the market today that claim to make our lives easier, but sadly that’s not the case with many of them. 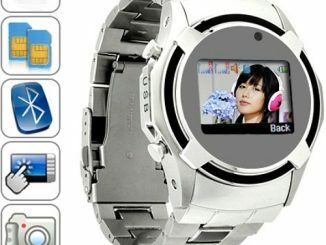 So when GeekAlerts was contacted about doing a review of the Biscotti TV Phone we were eager to see if it would live up to all the hype. Small, affordable, easy to install and extremely convenient, it did just that. At first glance you might actually think you’re missing a box, since the package itself is only slightly larger than a good paperback novel. As Biscotti’s website claims, setup is extremely simple with the only downside being that you have to enter the contact address for your friends. 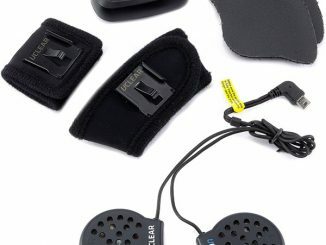 The wireless remote does take the challenge out of it, but it will still take you a few minutes to do. As for actually connecting the hardware, that’s a two minute job. 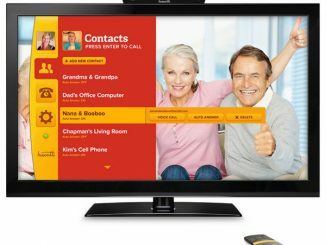 Since the Biscotti TV Phone comes with everything you need (HMDI cable, power cord, Biscotti, remote and simple directions), all you need do is find the largest HDTV in your house or office and get started. Overall, setup was a breeze and we didn’t encounter any issues. The Biscotti works with other Biscotti TV Phones, Gmail and Google Talk. Since they only gave us one Biscotti to sample, we decided to try it out by connecting to our friends via a Google Plus account. We had the option of contacting an office rep over a Biscotti to Biscotti connection, but based on how well the system worked with Google, we choose to stick with that. 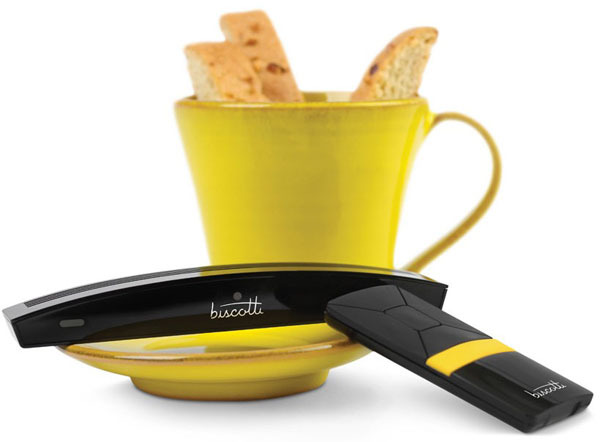 As for the actual equipment, the Biscotti device and remote, the quality seems very good and durable. Since most of us at GeekAlerts are technically considered adults, the abuse was probably a little less than if you have kids at home, but the Biscotti should stand up to regular use quite well. 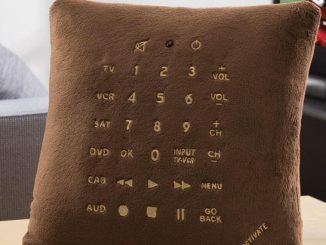 Once hooked up and turned on, your entire TV screen will be used for viewing. 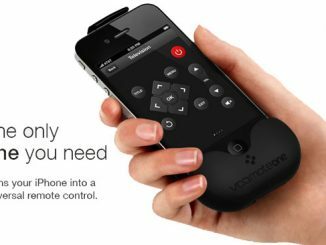 The remote has a simple six button design that would make even my mother feel confident when using it. 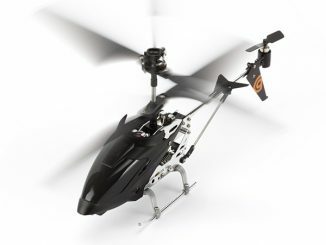 You can pan and zoom in and out with the wide angle camera lens, which captures a very large area in 720P HD. We found the video quality and audio quality to be excellent even in a large, mediocre lit room…The room was roughly 20′ x 30′ and we were about 10 feet from the Biscotti. 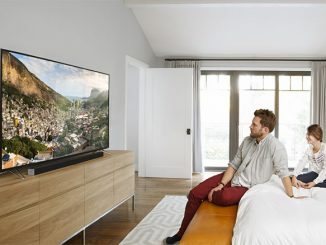 With the push of a button, you can receive or make calls to Android phones, iPhones, iPads and computers with Google Talk and the large screen TV experience will allow your entire family to share in the experience together, not one face at a time like other smaller setups. 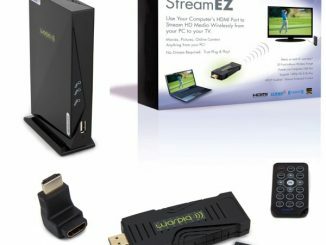 Works with high-definition TVs with HDMI. 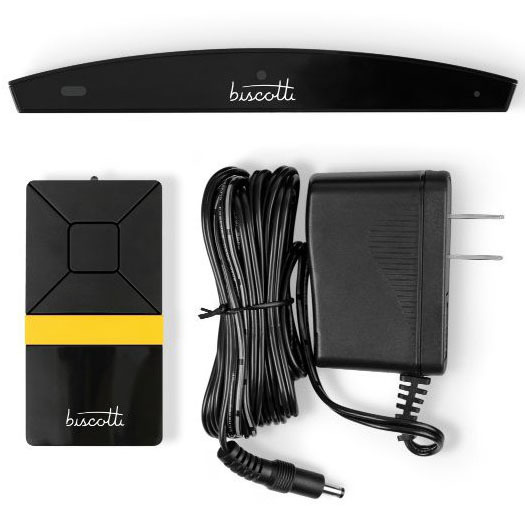 To use Biscotti while watching TV, connect a source with HDMI output, such as a cable or satellite box, to Biscotti’s HDMI input (optional). 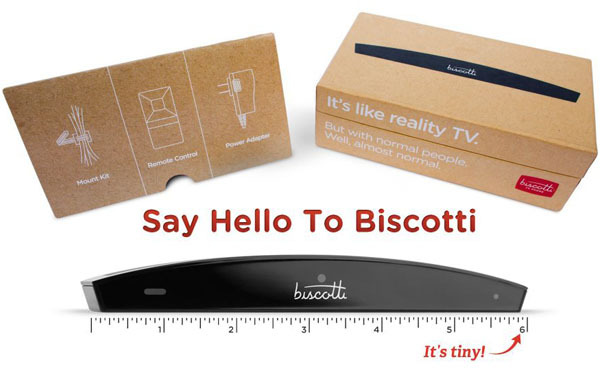 As you can see by the above stats, the Biscotti packs a lot of performance into a little stylish package that will fit nice on top of your HDTV. While our time with this device has been short, we would say it has been enjoyable. 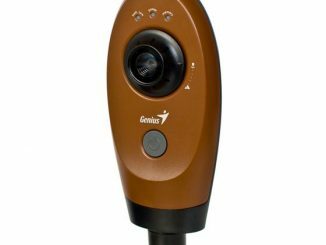 It did everything the manufacture claimed it could and even convinced a few of us that new technology can still be user friendly. If you or a loved one is looking for an easy way to stay connected during the college years or when living apart, the Biscotti is an excellent choice that will save you tons of money since there are no usage fees or expenses after the initial purchase. Enjoy face to face time whenever you want from the convenience of your home entertainment television and Biscotti. 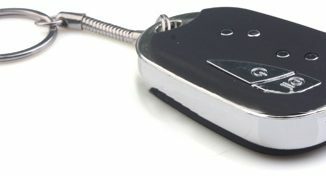 You can learn more and purchase the Biscotti TV Phone at Biscotti.com for $149.99.